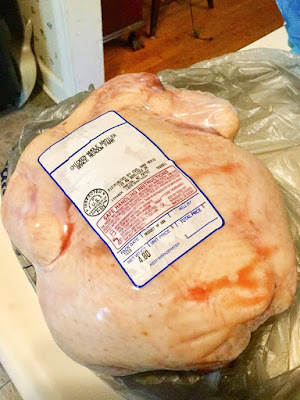 I am receiving compensation from the North Carolina Department of Agriculture and Consumer Services to raise awareness about purchasing poultry at farmer’s markets. All opinions and content are my own. "I feel like chicken, tonight! Chicken tonight!" Remember that commercial and product that debuted in America during the '90s? I can guarantee THIS product is better! I am helping to promote poultry at North Carolina farmers markets around the state. During this promotion, FOUR other N.C. bloggers visited local farmers markets and purchased poultry products to highlight the array of products available in N.C. Everything from duck to chicken is highlighted. 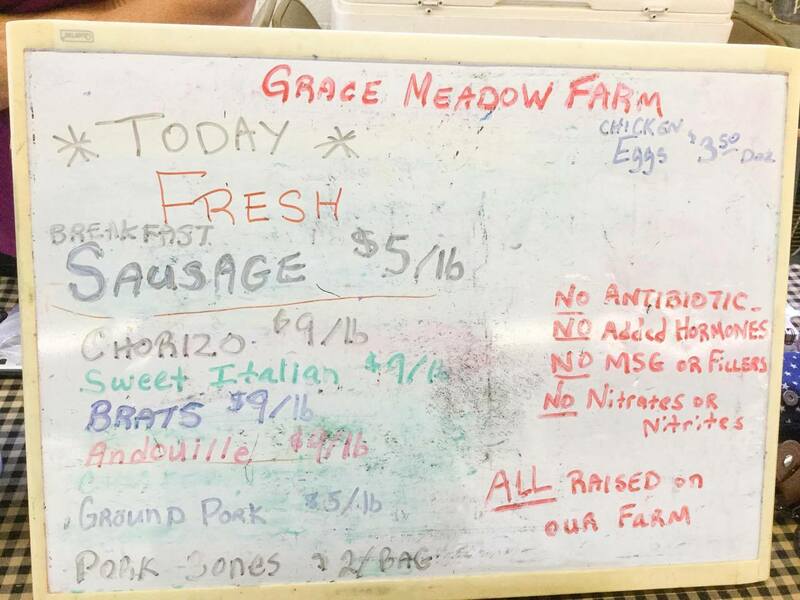 Don't forget to scroll down to see where and what you can buy at your favorite market. 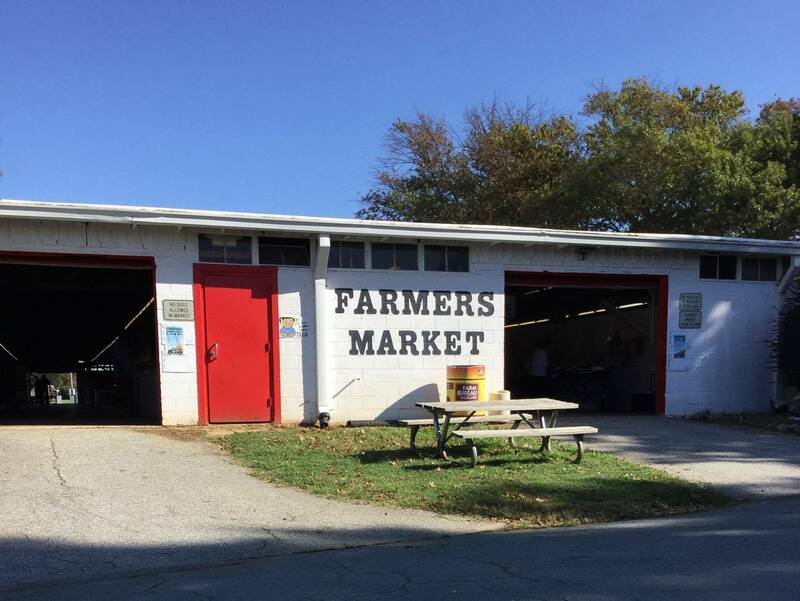 As you all know, I hosted a cooking show for two years at my local farmers market, Winston-Salem Fairgrounds Farmers Market: $20 Challenge. I still visit the market weekly as I've a good rapport with many of the vendors. As a matter of fact, I used NC chicken during my first-ever episode. 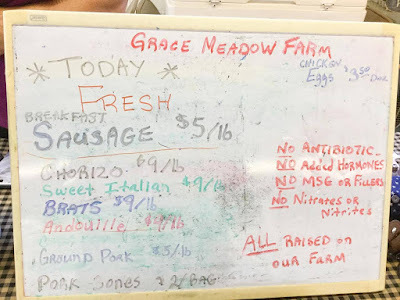 One of my favorite vendors and poultry farmers is Gay Gunn of Grace Meadow Farm in Westfield, N.C.
Everything she and her husband sell at the market come from their farm. The poultry, pork, vegetables--and heir daughter sometimes accompanies them to the market and sells paintings she's done while waiting for the market to be over (she's only 9; I don't blame her). The Saturday I went to the market to pick up my chicken, there weren't any! But Gay was gracious enough to set one aside for the for the next week, to make sure I had a fat, juicy roaster to take home! 1. You can meet your poultry's maker. Having a conversation with the person who raised your roaster from a baby chick to a full grown bird, is a beautiful thing. 2. You can ask questions: who, what, when, where, how? 4. 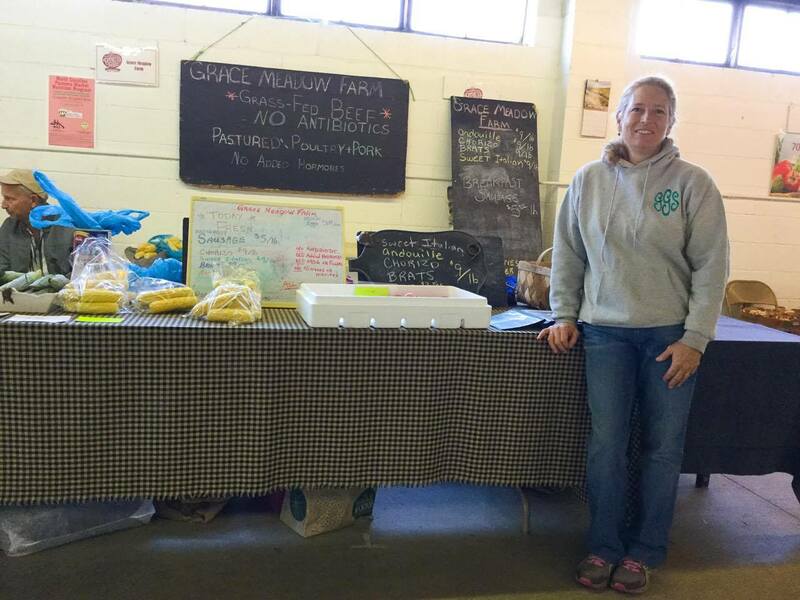 Supporting local farmers supports local economy and makes where you live a better place. But I know you knew all of that. What you DON'T KNOW is how to make your chicken the crispiest it's ever been. People will think you fried the chicken, when all you did was roast it in the oven. 3. Butterfly the chicken: Remove any innards from the chicken. Put the whole chicken breast-side down on a flat surface. 4. Find the backbone running down the center. Use a pair of sharp poultry shears or scissors to cut up along the backbone on one side and then cut along the other side. Remove the backbone and save it to add to chicken stock (or to cook to feed to your pet). 5. Flip the bird over, breast-side up. Gently press down on the breast meat to open the chicken up and flatten it. The breastbone will break as you press. The chicken should now sit almost flat. Use the shears again to cut the chicken completely in half. 6. Cook the chicken: Liberally season the chicken on all sides with sea salt and freshly crack black pepper. Don’t forget to lift up each wing and season under there, too. 7. 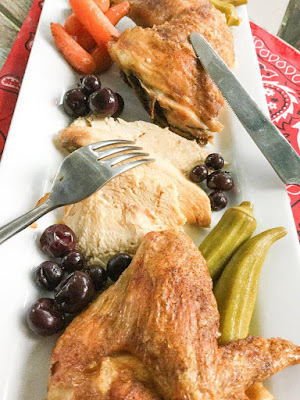 Put the chicken skin-side up on a rimmed baking sheet lined with a rack, put the pan in the center of the hot oven and cook for 1 hour, undisturbed. 8. Remove the chicken from the oven and allow it to rest for at least 10 to 15 minutes. 9. 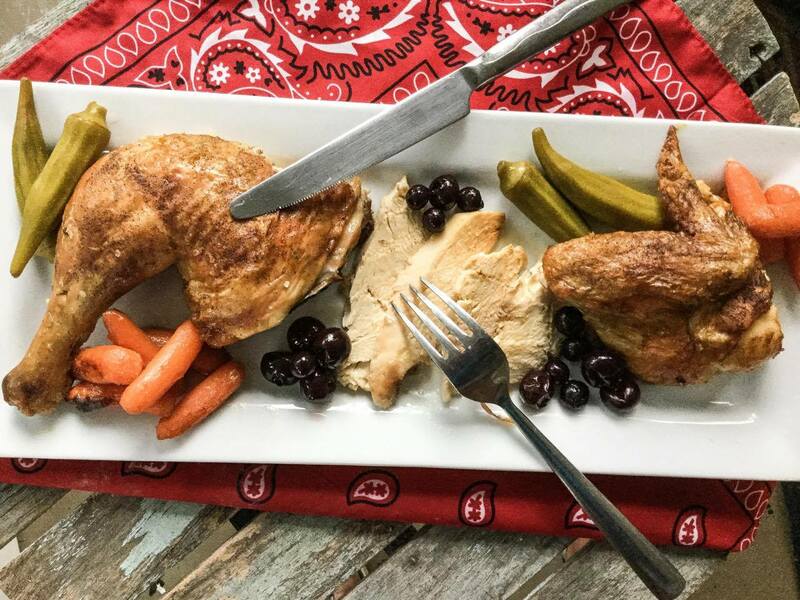 Slice the chicken onto a platter and serve it with vegetables. What about this gastrique, Nikki? I used that word as click bait. Technically, it's a sweet and sour sauce. What's the best sweet and sour thing you can imagine? Pickled blueberries. Tart, sweet and tangy--all in one. All I did was serve this chicken with pickled blueberries, pickled okra and roasted baby carrots. The recipe for pickled blueberries can be found HERE. And to be honest, the same flavors that would be present in a gastrique, are the same ones in these pickled blueberries. Win-Win. And you can keep your blueberries in the fridge for over a year and pull them out when you need to add a little zing to your chicken, charcuterie board, salad or favorite sandwich! You always make me smile, and this post did the trick. Looks like a tasty dish, and I love knowing about this farmer. 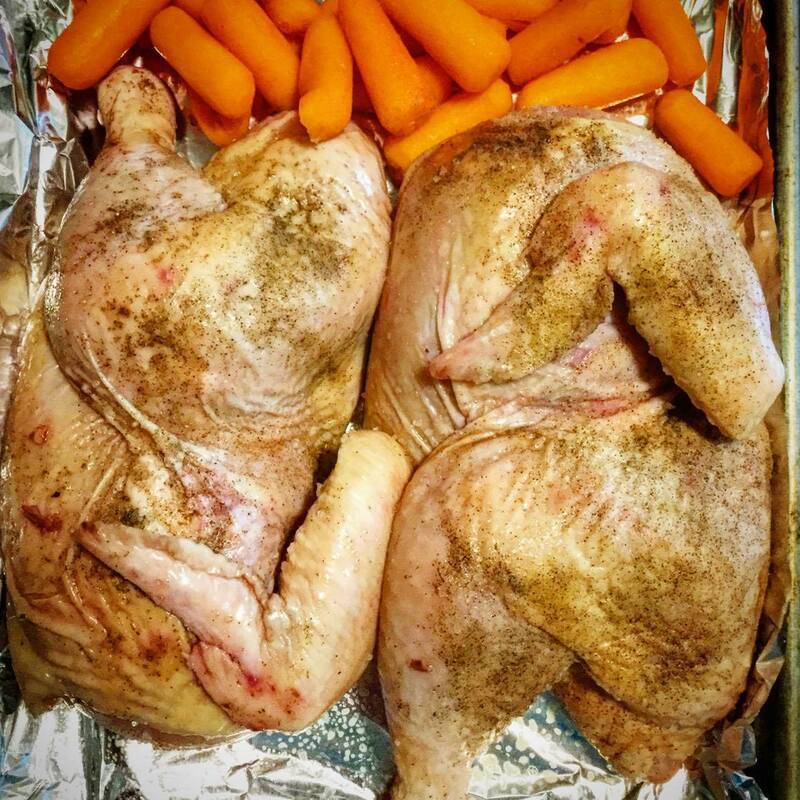 I plan to set my oven for 500 degrees and use your method for roasting my next farmers' market chicken. SO many ways to enjoy it once that is accomplished. And soup from the bones at the end! Hope to cook with you one of these days, Miss Nikki! Sneaky, sneaky clickbait! lol But I bet you could blend up some of those pickled blueberries into a sauce to make a quick gastrique, so there you go. I love their daughter--buy these desperation drawings I did while trying not to fall asleep at the market! Budding entrepreneur, that one! These are great tips about roasting the chicken...definitely going to have to save them for later (my whole chickens usually come out on the softer side, rather than the crispy side so hopefully your tips will fix that!). Also, I never thought of pairing blueberries with chicken, what a fantastic idea. This all looks and sounds so delicious. Crispy chicken is the absolute best! Sounds tasty! This is a meal my husband would love. Have to make it for him! So great and such a classic! I love the idea of pickled blueberries, and the mixture of flavors with the savory! As always, your personality shows through in your writing! Love this! Now I want to try pickling some blueberries. Yum. This looks delicious!